Makers of Kedarnath made use of real footage of the destructive floods shot by media channels and local people who witnessed it in Uttarakhand back in 2013. 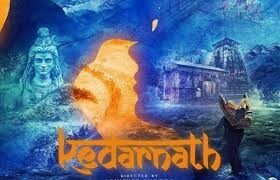 Abhishek Kapoor's directorial venture 'Kedarnath' which is set against the backdrop of the devastating 2013 Uttarakhand floods, has used real flood footage in the film. Makers of the film used footage of the destructive floods captured by the news media and the locals who witnessed the devastation first hand back in 2013. Filmmakers have merged visual effects with real footage to depict the sheer scale of destruction on screen. This is intended to take viewers back to the severe calamity that took place in northern India. The trailer and songs of Kedarnath have garnered a mostly positive response from fans. The film tells the story of a girl Mukku who is on a pilgrimage to the historic Kedarnath Temple in nestled in Uttarakhand's mountains, where she meets and falls in love with a boy named Mansoor who also serves as her guide through the journey. As they grow closer, they are faced with many obstacles, including familial disapproval and contrasting personal backgrounds. When the sudden rains come pouring down on Uttrakhand and floods devastate the region, the couple is forced to survive against the elements. Produced by Ronnie Screwvala's RSVP and Pragya Kapoor's Guy In the Sky Pictures, Kedarnath is directed by Abhishek Kapoor. The movie will hit theatres on Friday, 7 December.